NEW franchise Football Club Port Moresby have joined the National Soccer League (NSL) 2013 season. NSL development officer Chris Brown yesterday confirmed that FC Port Moresby were the fifth team to pay their registration fee to participate in the semi professional competition. 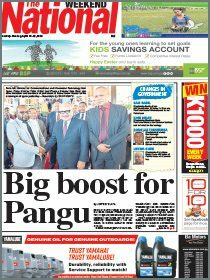 He said the team were sponsored by insurance company, Pacific Assurance Group Ltd (PAGL) and spearheaded by businessman Johnson Tia and former PNG striker Reginald Davani. Brown said that FC Port Moresby joined Hekari FC, Welgris Highlanders FC, Besta PNG FC and WNB Tavur FC in the revised six-team competition. Contenders for the last remaining spot included Gigira Laitepo Morobe FC, Oro Birdwing FC and Eastern Star FC. Brown added that FC Port Moresby franchise owner Tia was expected to make an official announcement through the Pacific Assurance Group today or tomorrow. Tia is a former rugby league player, who played with the Air Niugini club in the 1980s. He teams up with Davani who played professional soccer in Australia, New Zealand and Solomon Islands before returning home to play with Inter University and Central. From Tari in Hela, Tia is the second businessman from the new province to invest in the “world game” and follows in the footsteps of Gigira Laitepo Morobe FC franchise owner Tuguyawini Libe Parindali. Other Highlands businessmen who are current NSL franchise owners are John Kapi Natto, of Hekari United FC, and Thomas Kerowa, of Welgris Highlanders FC. Meanwhile, Hekari United assistant coach Mathew Witu has called for the inclusion of a Morobe team, particularly Gigira Laitepo Morobe FC, in the competition. Witu said it was crucial that one of the country’s biggest soccer provinces be represented in the premier competition to ensure players from that part of the country be exposed to top tier football. “Gigira Laitepo Morobe’s inclusion is very important for the National Soccer League competition,” the former Souths player said. 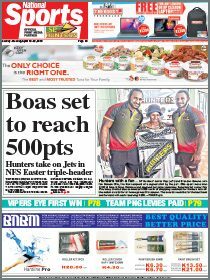 Lae and Lahi rank highly in the country’s soccer competitions, having produced Besta Cup winning teams and the current Women’s NSL champions as well as a string of stars, including Hekari and PNG defender Koriak Upaiga and Ian Yanum. Witu confirmed that Hekari’s Fiji imports Maciu Dunadamu and Taniela Waqa had arrived to team up with players like Morobe stars Nigel Dabinyaba and Raymond Gunemba.